Star Crossed Anime Blog – this is a comprehensive and methodical assessment of the upcoming season. The Cart Driver – this is a highly subjective and very opinionated assessment of the upcoming season. Between the two of these you can get a good sense of what anime has in store for us in the coming months. If you want to skip straight to the good stuff, read on! This is more than I would normally include in my Picks and Predictions post, and I think that is a good sign: that there are a lot of intriguing series coming our way in the near future! AKB0048 idol group gives hope to humanity as it struggles in a post-apocalyptic future. 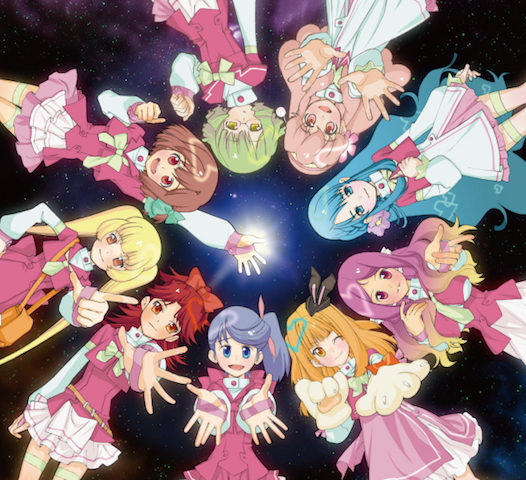 AKB0048 is about a fictional future version of the real AKB48 idol group. In the future humanity has been devastated by something, and the group gets back together to lead humanity towards a brighter future. “In an era when entertainment is outlawed, there is an idol group that offers underground guerilla concerts despite the danger.” Since there is still very little information available, and no promo video, and since I see this series as basically the Banana Splits in a post-apocalyptic setting, please enjoy a video of the Banana Splits, instead. Accel World: Don't you want to go faster, young man? In all honesty, I don’t expect this to be much more than eye-candy. The story of a bullied school boy who uses a game to pilot mechas to save a princess and her virtual world. The unusual thing here is that the main character is fat. From what I can tell by looking at the official website, they already have a PSP tie-in game. The preview video (below) looks great, though, so I’m looking forward to seeing how good the actual show looks. I don’t expect the story to be anything special, but would enjoy being pleasantly surprised. 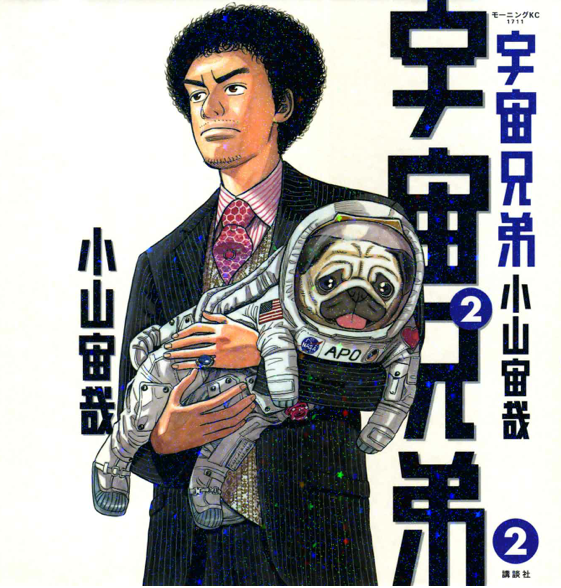 Uchuu Kyodai - Space Brothers. This show is pretty interesting because it avoids the school age hero trope. Here we have two brothers (one with an afro) who made a promise to go to space together, but one of them actually pulls it off, and the other one, despite thinking of himself as the superior brother, falls behind. Eventually the second brother decides he should try his best to become an astronaut as well. The setting sounds intriguing but I am a bit fearful that they will milk it for laughs, which could cheapen its potential. The preview doesn’t give much of an idea where the anime will go stylistically, but here it is. And here we have our entry in the Mystery category. Hyouka is a story about a high school Classical Literature club members that solve mysteries. Unfortunately there is very little information available. The animation is being done by Kyoto Animation, who have a site with some character designs, but no preview as yet. Hyouka Classical Literature club members. 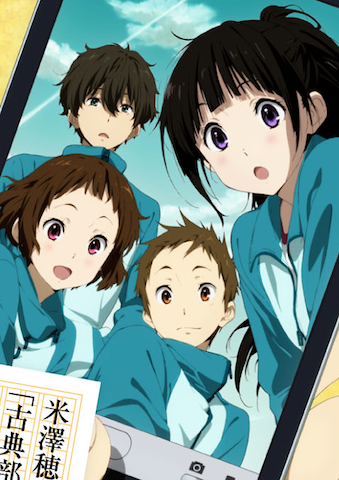 Update (3/16): The trailer for Hyouka has been released. It doesn’t look very serious (seems to play up the school life aspects), but it does include some eye-popping animation, as we would expect from KyoAni. 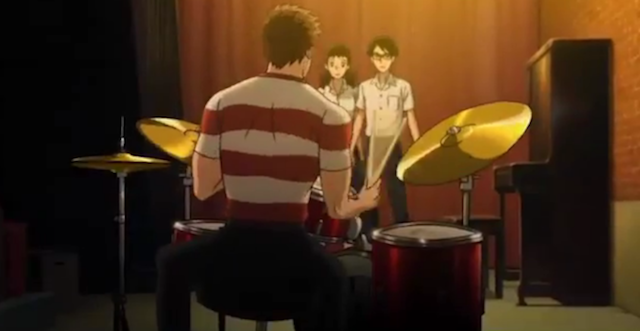 Sakamichi no Apollon - main cast members. 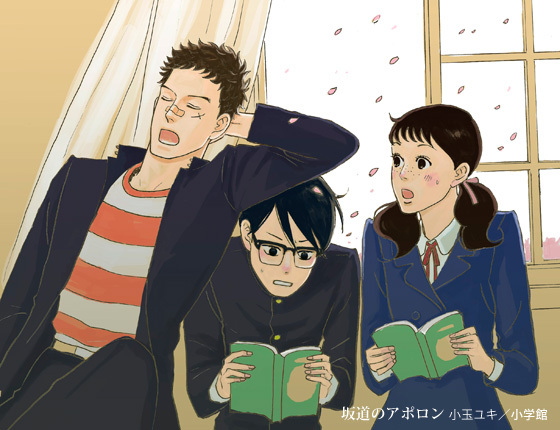 My prediction for best show starting Spring 2012 is Sakamichi no Apollon. This is the one series I am guaranteed to blog out of the picks I have presented here. It is a story about high school students living on the island of Kyushu (Southern Japan) in 1966. The viewpoint character, is an outsider, and a classically trained pianist who moves to Nagasaki where he falls in with a delinquent who introduces him to the wonders of Jazz music. Why am I so convinced this show is going to be compelling? First, I really like the concept behind it. We don’t often get historical stories that are set in the near past, and I like the idea of a story about people putting together a Jazz band. Second, this show is being put together by a dream team. The director is Shinichiro Watanabe, who directed two wonderful series: Cowboy Bebop and Samurai Champloo. The music is being composed by the incredible Yoko Kanno. The animation production will be handled by MAPPA who are an offshoot of Madhouse. Hey this show is going to be great! Check out the preview, below. Banana Splits? I had completely forgotten that even existed until I read this post. I vaguely recall watching it when I was a kid, which might have been while it was originally airing since that would have been the late 60s. I suddenly feel old. Anyway, of your picks Uchuu Kyoudai is the only one I’m seriously interested in. The others I’m only curious enough about to give a look, though I’m hoping Hyouka will turn out good. I hope Hyouka will turn out good as well, although it seems to be difficult to make a good Mystery anime, judging from the number of shows that never quite pulled it off. I hope Uchuu Kyoudai will be good as well. I just don’t know how they are going to treat it — silly or serious? The Banana Splits: yeah I was watching cartoons back in the ’60s as well. I can proudly say that I got hooked on anime by watching an Osamu Tezuka show (Kimba the White Lion), but I also loved American cartoons in those days (especially Secret Squirrel). Kimba is an anime??? Yep – it’s listed on MAL. That pushes my anime history back to around 70, but not sure when – I doubt I saw it when it aired. Yeah, Kimba was the gateway to my lifelong anime addiction. It was definitely shown over and over in reruns — I remember that quite well, as I loved the show as a kid. 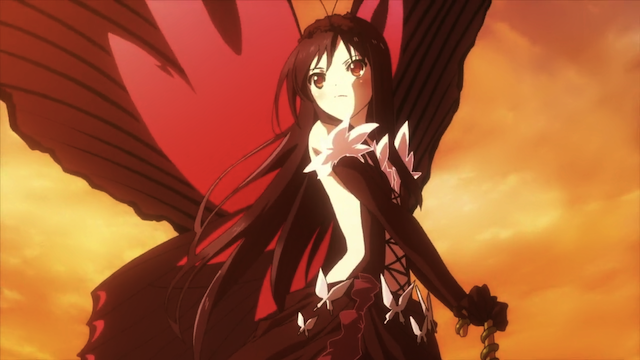 Apollon is worth it for me because of the music alone, but its material, staff and animation look spectacular as well. Definitely watching! The only others on my must-watch list are Hyouka (KyoAni’s pretty animation) and Tsuritama (I loved Cencoroll’s character designs and simple animation style, plus the premise sounds completely bonkers). I was also curious about Accel World because of the mc, but instead of being just a pudgy guy his design looks completely out of place in the shiny mecha setting. I dunno, just the fact that he’s like half the height of everyone else makes it seem like watching a mascot instead of a main character. I’m really excited for Apollon. I think it is going to be excellent. Tsuritama: If I bothered to do an “honorable mentions” section, I would have included this. The artwork is interesting, and the director clearly has some interesting ideas. I’ll be checking it out, I’m sure. Accel World: Yeah, and sometimes they show a pig character, so that really makes him look like a mascot — on the plus side, I like underdog characters. Regardless, the artwork looks good, I just hope the story is interesting enough to sustain my interest. Apollon looks like it’s going to be great. Not as sure about Tsuritama, since the director behind that hasn’t made anything as good as Mononoke in a while. Still burned from expectations regarding [C]. But that’s okay! I can believe! If there’s one show I hope that they don’t mess up, though, it’s actually Nazo no Kanojo X. From reading the synopsis it might sound like Stereotypical Fanservice Anime #122, but the manga’s probably one of the most remarkably honest portrayals of school romance I’ve read in the medium. Its creator called it “a giant robot story in which girls are the mysterious giant robot” and that’s about as accurate a depiction of sexual awakening from the male perspective that I’ve read. Of course it could be horribly botched in translation, but I guess we’ll see what happens. Tsuritama: I wasn’t impressed with the finished product on [C] either, but he definitely has interesting ideas, even if they haven’t always been executed well. Kanojo X: I just am not sure what to make of this one. I did read some of the manga, but I’m not convinced of the source material, and then we add the question of how it will be adapted. I agree it is not stereotypical, though. Yay you picked up AKB0048! \O/ Since I practically live in the 48 fandom, I’m pretty excited for this as it is not only AKB48 but also Shoji Kawamori as director here (I’m a Macross fan) so this will be naturally my main focus for spring. Hyouka sounds interesting too. I might pick that up too but let’s see. It looks like it is going to be a good season, and only about a month until it starts. Macross: I’ve never seen any of that. I thought about it, but am not really sure where to begin (LOL if they don’t name things 1, 2, 3 I get confused). This season looks to be a good one, alongside those we should also get the second season of Fate/Zero (where things suddenly leap into action now that the build up is out of the way), and the long awaited proper sequel to Eureka Seven alongside so many others. 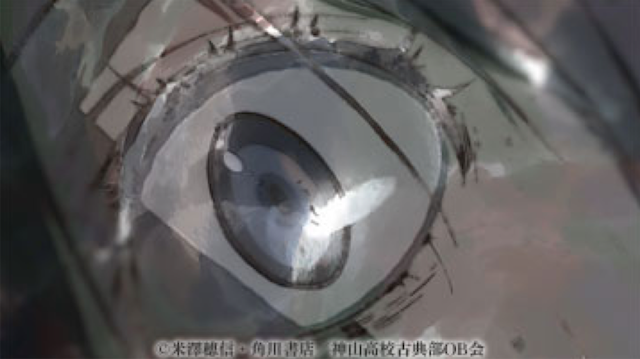 Other than that I’ve heard that Uchuu Kyoudai is going to have multiple cours as well as being simulcasted, so there isn’t that risk of a similar situation to the sub scenario to what Hyouge Mono faced. No show should suffer from what happened to Hyouge Mono. Only 11 out 39 episodes were ever translated. One day the whole series might be finished, but anyone even remember it? There was another show I was watching that was funny, but wasn’t getting subbed regularly (Master or Epic). By the time it was finished, it was impossible to get a hold of all the pieces. Probably not, the best we can hope for is some kind soul to come along and do it all, as usually happens with these kinds of things. But given the difficulty of it all, it doesn’t seem likely. It’s a shame really, a show comes along that breaks the trend of the Sengoku period anime (see stuff like Sengoku Basara), marked by almost ridiculous caricatures of the figures and generals at the time, and it’s left like this. I’ve never seen Master or Epic but fortunately I don’t think any other show that I’ve watched has been left in this position. The closest was probably when Gintama was slowly being subbed, another show that would have been difficult to translatel. The only possible reason we still aren’t one hundred episodes behind is likely because Crunchyroll kindly decided to pick it up. Well, we’re in complete agreement. I don’t know why anime went down that route for that time period. Maybe if you grow up in Japan it is treated too seriously, and this leads you to want to see it treated “irreverently”. Well, I hope you are right, and someone will step in and do a translation for the whole thing. No…don’t be fooled by AK00B48! You’re being tricked! Tricked I tell ya! As usual we’ll have to wait and see what these shows are really like. We’ll start getting our answer soon, though. Some shows just can’t hide how afoul they are for long. I have a feeling I won’t bother with Zetman. Maybe I’m too picky with depictions of martial arts, but I rarely enjoy battle anime. The only thing I’ll say it’s not a shonen, so you might find it has more of a layer than your typical battle anime. Well, assuming it gets adapted well! Which brings us back to wait and see. I usually keep an eye out for shows that didn’t strike me as being worth checking out at first, but that are getting good reviews, maybe I’ll be coaxed off the sidelines by the initial reviews. I am so looking forward to Apollon along with Fate/Zero finale. They are already made of so much win that I don’t have to explain my reason. I think Spcae Bros. could be an interesting story. I really like that it isn’t another high school setting.